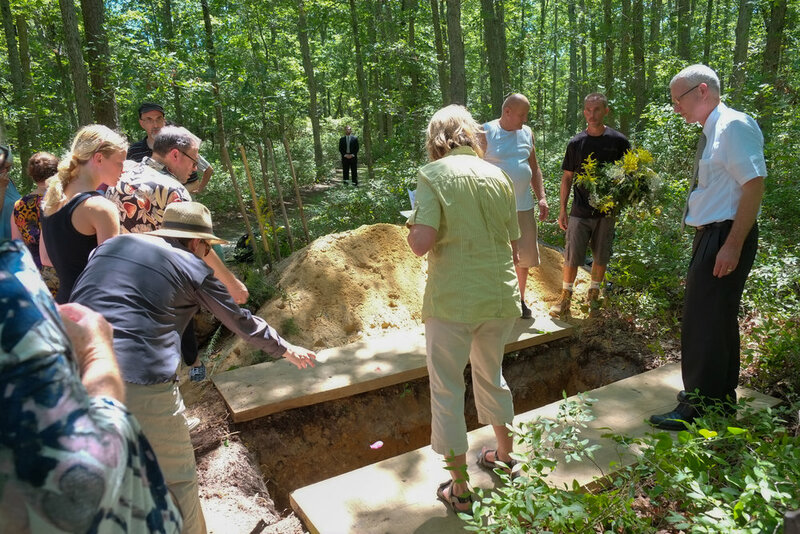 Dino Flammia, reporter for NY 101.5 Radio, interviewed me for a radio story "Thinking Green Even After Death--NJ Sites for Natural Burial" June 6, 2018. Bob Prout, funeral director at Prout Funeral Home in Verona, talked about green funerals in the state, and Dino asked me about my father's burial at Steelmantown Cemetery in southern New Jersey. UPDATE to the digital edition of The Natural Burial Cemetery Guide is now available. With 17 new cemeteries across all four regions of the US, the new update to The Natural Burial Cemetery Guide has increased its listing of cemeteries by 12%. Pretty good for a year. The movement as a whole has done even better, with several cemeteries not quite open, several more too small or limited to want to be in the guide, and a few simply not easy enough to contact for me to include. I spoke at the Flex School to Lisa Phillip's social studies class Mind Blown about green burial as part of a study section on death and Dia de los Muertos. Besides the opportunity to spread the word about green burial it was a great opportunity to interest young people in talking about death; maybe they will be less averse to it as adults. NHFA CONFERENCE 2017 "Advocating for Home Funerals: Stepping it up a Notch"
I will be attending the National Home Funeral Alliance 2017 Conference September 22 and 23 in Maryland and bringing a copy of The Natural Burial Cemetery Guide for the weekend's silent auction. Many of the guide's best supporters are home funeral practitioners and death doulas. "I love cemeteries and have a plethora of books about graveyards on my library shelf to prove it," says Mary Reilly-McNellan in the opening line of her review of The Natural Burial Cemetery Guide for Natural Transitions magazine. "I don't, however, have one that specifically targets natural burial cemeteries, so I was delighted to learn about Ann Hoffner's new publication." Read Mary Reilly-McNellan's full review.